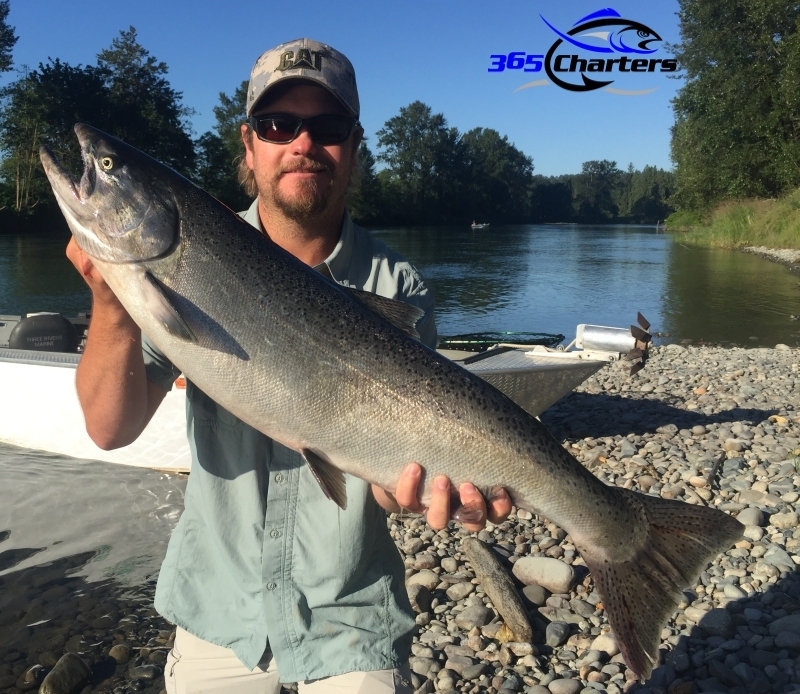 365 Charters is your Seattle area home for charter and guided sport fishing. 365 Charters offers Seattle area charter & sport fishing trips. We welcome you to join us for a memorable day on the water. Based just outside Seattle, 365 Charters is owned and operated by professional guide and charter Captain, Doug Saint-Denis. Our charter and sport fishing team offers exclusive, fully furnished fishing charters and guided sport fishing for Salmon, Lingcod, Steelhead, Sturgeon, Kokanee, and more! The Puget Sound offers great fishing opportunities for Salmon, Lingcod and more. Depending on the season, we depart from Seattle or Everett. The Wild & Scenic Skagit River, the Skykomish River and the Snohomish River are just a short drive from Seattle and offer some outstanding fishing opportunities. We also have several premier lakes less than an hour away, which offer Kokanee, Sockeye, Trout and Bass fishing opportunities. The Cowlitz and Columbia Rivers are about 2 hours away from Seattle and minutes from Portland, depending on where we fish. 365 Charters team of professional fishing guides will provide you with more opportunity to fish Western Washington‘s rivers. Our Team will work hard to get you into the fish and facilitate your outdoor experience! Read more about us…. 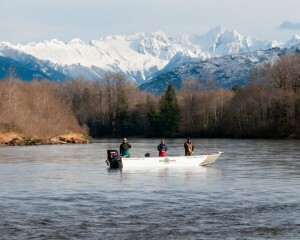 Our Western Washington charter & sport fishing trips are approximately 6-8 hours in length. We provide all the gear, tackle, boat, bait, and fuel. The only items you need to provide is a Washington State fishing license (for either freshwater or saltwater, depending on where you fish), a sack lunch and make sure you dress for the weather. All anglers meet us at the water at either the dock or near the boat launch. Regardless of whether you are fishing with us on the Wild & Scenic Skagit River, Seattle’s Puget Sound, the mighty Columbia River, or any one of the many rivers and lakes we fish throughout the year, you can expect the highest quality customer service, boats, and equipment. We are at home on the water and we want to share that experience with you. You will get a knowledgeable, friendly and professional charter captain or guide. We welcome you to join us. If you are a first time angler or even an experienced angler, we will work hard to ensure you are successful and have a memorable day on the water. Our guides are fully licensed and maintain current captains license with the United States Coast Guard. We share our knowledge with you and explain what we are doing and why. Our captains are happy to answer your questions during your trip. 365 Charters is owned by Ridge to River Outdoors, LLC. We have fishing opportunities all year, every day! If the Pacific Northwest is your home, or you are visiting the Seattle area for a business trip and looking to have that Pacific Northwest outdoor experience, our fully equipped fishing charters are just a short drive away!